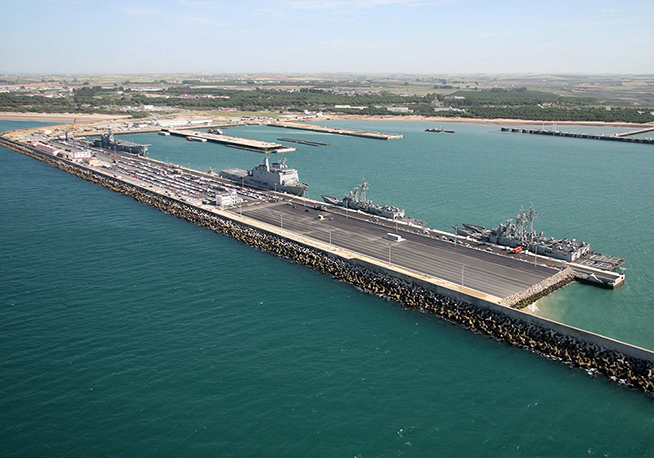 This project involved the construction of a 306.5-m long gravity wall aligned with the existing wharf along with an 80-m wide,430-m long and 15-m deep docking pit. 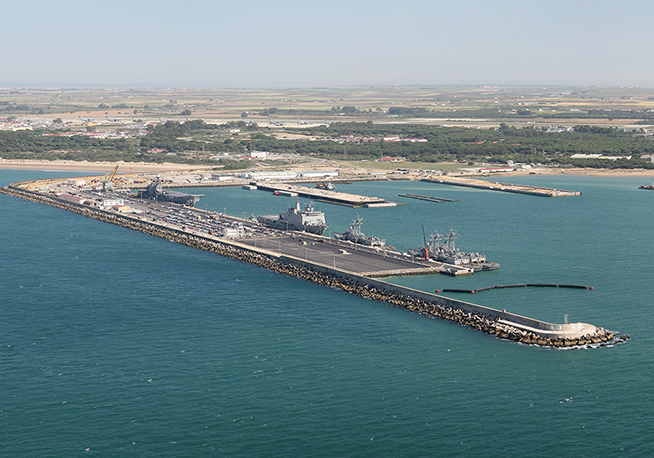 The Rota Naval Base has been operational since the 1950s when it was completed, and since then no project of this scope has been undertaken. The last section was completed in 1985, with a reinforced concrete caisson structure. 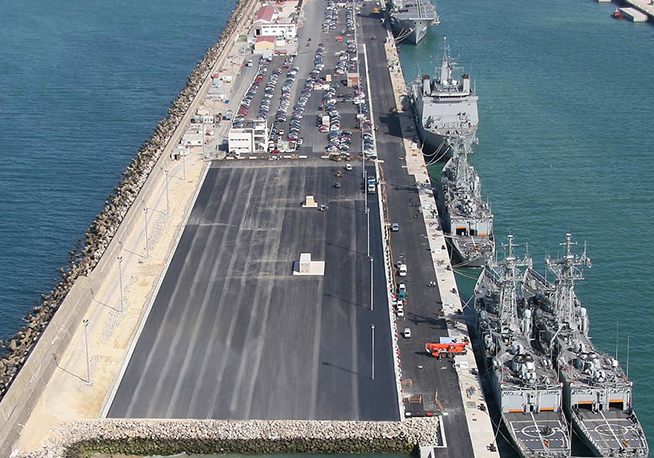 The useful life of this kind of port infrastructure tends not to exceed 25 years, which is why it is extremely important to carry out continuous upgrading projects in order to keep its functionality and effectiveness up-to-date. The project started on October 15, 2007, and during execution, a modified project had to be drafted, as a result of the extension of the draft depth of the docking pit to -15.00 metres, which also meant including rigid structures on the seabed to ensure the stability of the wharf.